Focus on Wellness at Work to create an innovative & productive workplace. 1:1, small group or the whole system. Create high-quality connections to strengthen relationships at all levels. At Return On Energy, we are leaders in the strength-based approach to organizational change called Appreciative Inquiry. We believe that when you focus on what’s working you get the energy to fix what’s not. We customize our services to meet the unique needs of all our clients. Why engage Return on Energy? We have helped organizations create thriving cultures and healthy work climates, for more than twenty years. We can help you create a psychologically safe work environment, where people are accountable & motivated. We will work with you to strengthen your leadership, teaming, and communications skills. 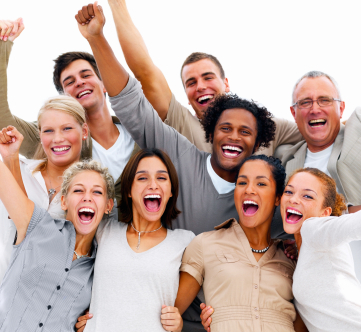 We can promise you that your organization will be more positively energized. We commit to developing the competencies and skills within your organization. Contact us to learn more about how we can help your leaders and employees thrive and your organization to flourish and grow. Much has been written in recent years about the lack of employee engagement. Organizations study and publish reports telling us that employees are disengaged and that the resulting loss of productivity is costing organizations millions of dollars annually. Here’s a thought – maybe employees are not disengaged, maybe they’re exhausted? At Return on Energy, we encourage clients to reframe employee engagement as a mystery to be embraced versus a problem to be solved. What if we were to study this issue from the other side? What would it look like when all employees say they are engaged? This perspective begins a whole new conversation and begins to get your Return on Energy. It is a deeper, more meaningful and inclusive conversation that is rich in dialogue, deep listening, and shared understanding. Creating a passionate mission, compelling vision, core values, and strong beliefs. Leading in disruptive times is all about knowing how to navigate in a VUCA world. At ROE, we place an emphasis on helping clients learn through experience, beginning by discovering what’s working, leverage their strengths and the strengths of those they work with, to address these disruptive challenges and opportunities. We believe that deep learning occurs with direct experience and reflection. We use the Center for Creative Leadership 70:20:10 model for all our engagements. Their research shows that 10% of learning is done in a formal setting, 20% of learning is through social interaction, reflection and 70% of learning is embedded on the job. We tap into the rich resources of The Center for Positive Organizations (CPO) to design our leadership and teaming interventions. CPO uses scientific evidence to enhance thriving work cultures, interpersonal flourishing, positive emotions and energizing networks. At ROE, we help clients generate positive human energy through our AMPs (appreciative micro-practices). In complex systems, micro-practices can create macro changes. Positive Communications – discovering how to energize conversations at work. Positive Meaning – discovering how work connects to personal passion and/or creates a sense of community. Engagement at the Whole, at the Department, Team, and Individual Levels. At Return on Energy, we help clients develop the skills and behaviours to fully and authentically, participate in energizing conversations@work. We help them to use the energy of conflict to fuel positive collaborations. 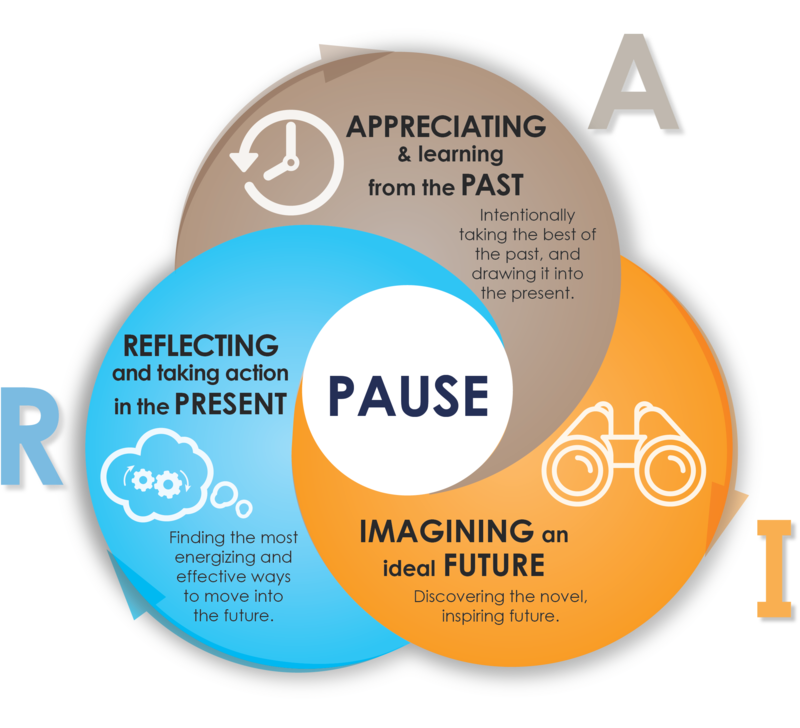 We begin by helping individuals PAUSE before engaging in conversations or meetings. P – what is the purpose of the conversation? A – what can I appreciate about the situation, the person/people involved? U – begin by trying to understand the opinion of the other, before trying to be understood. Test your assumptions. 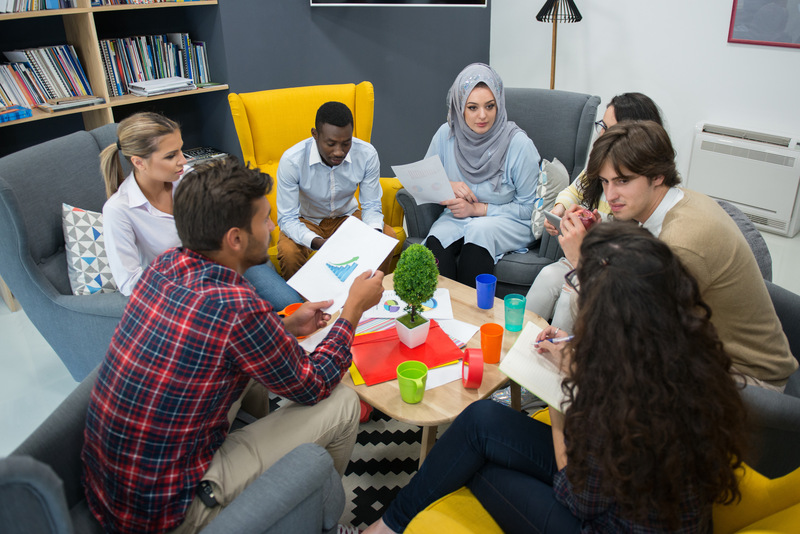 We offer both public and customized workshop series on Conversations @ work with topics such as: energizing coaching, energizing meetings, energizing conflict, energizing feedback. 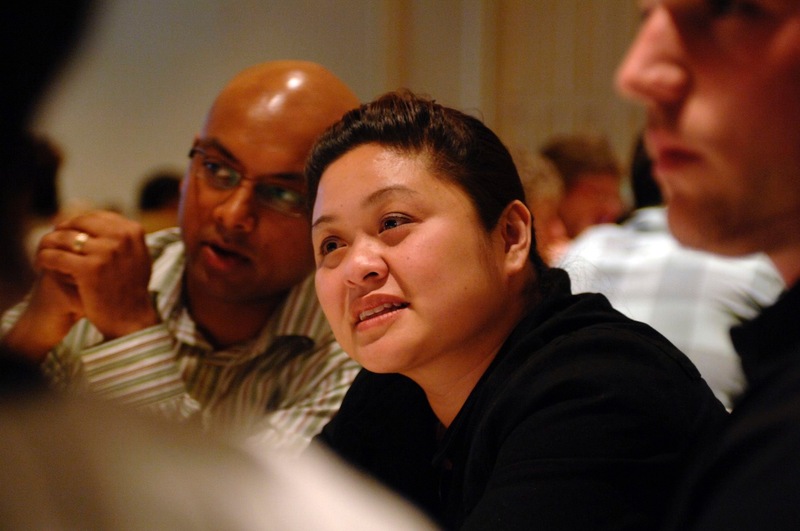 We are recognized as Canadian leaders in the field of Appreciative Inquiry and the art of designing and facilitating strategic convening summits. Strategic convening is all about moving from a traditional hierarchical structure to a networked structure requires new ways of engagement. Moving from small, expert teams creating the plan in isolation to inviting all to be part of the discovery, design and implementation process. It is about the power of the collective mindsets vs expert mindsets. Experts believe this collective approach has led to a 10 fold increase in productivity at meetings and conventions, leveraging the power of strategic convening by engaging and drawing on the power of everyone in the room. We have consulted, educated, co-designed and facilitated more than 100 strategic convening events with groups of fifty to one thousand. Often this involves designing whole system interviews and focus groups that inform the major event. We believe in building the capacity of our clients by providing education in all of our consulting. Province-wide, engaging >30 Communities to develop Community Employment Action Plans for adults with developmental disabilities. Strategic convening can work in any environment.